Rounding a sharp turn, the streetcar's brakes had their resolve tested. A black Ford SUV had pulled out in front of it and came to a halt. The two vehicles collided at the break-neck speed of five miles per hour. There were too many passengers standing for anyone to fall over. A few of the seated ones bumped their heads or strained their necks. Most were unharmed but shocked. Two dark-suited men emerged from the damaged SUV and quickly approached the streetcar and barged into the front door. "Will everyone please get out of the car? Calm and orderly, get out of the car and move away from it, please." "What's going on?" the conductor asked, worried. Others echoed him, but kept moving. "Who are you?" "Please, everyone just stay calm. Exit and move away from the car," was his repetative answer. His partner rolled onto the ground and under the streetcar, then climbed under it. The crowd's murmurs paradoxically increased in intensity as their numbers thinned. He searched the bottom of the car, needing only a moment to find what he was looking for. "I found it!" was the last thing he ever said. "Don't be monkeyin' around with that irrigation system, boy," Todd teased his nephew. "We need it if we're gonna eat." "I just wanted to play with it, I won't hurt it," little Jonny protested. Todd picked up the four year old and put him on his shoulders as they dove into the cornfield. Row upon row of stalks whisked past them under Todd's long strides. For a moment, there seemed to be nothing but peace between them, as if both were afraid to speak. But then, the cornfield came to an end, and beyond it was a pasture with a big tree and a treehouse. "Your dad and I built this here treehouse when we were about your age," Todd told his charge. "We called it our citadel." Presented like that, Jonny saw past the squalorous condition it was in and imagined himself fighting off a dragon which was trying to climb that tree to get him. Putting his nephew back on his own feet, Uncle Todd let Jonny climb to the top, where he perched like a deity, surveying over the whole pasture. Jonny laughed in delight at his daydreams. A dog loped toward them, barking at the ruckus. "You can come here any time you like, Jonny. Your dad'll always be here with you, watchin' over you, and you can talk to him any time you want." Jonny stopped and looked around. "I see him!" he proclaimed, and pointed at a fluffy cloud. Sure enough, that cloud resembled a person. Perhaps it really was his brother, murdered in the line of duty, whom he would soon seek to avenge, once his nephew was taken care of. The dog barked more, this time at a delivery van heading up the long gravel driveway. "I see it, boy," Todd soothed the dog to silence, then called up to his nephew, "Hey, I'm goin' to see what we're gettin' in the mail. Could be somethin' special. You're welcome to come see if you want." Jonny climbed down almost as quickly as he'd gotten up there, and Todd replaced him on his shoulders for their trip back through the cornfield. The above is a composite of two seperate writing challenges. They seemed to go together fairly well. 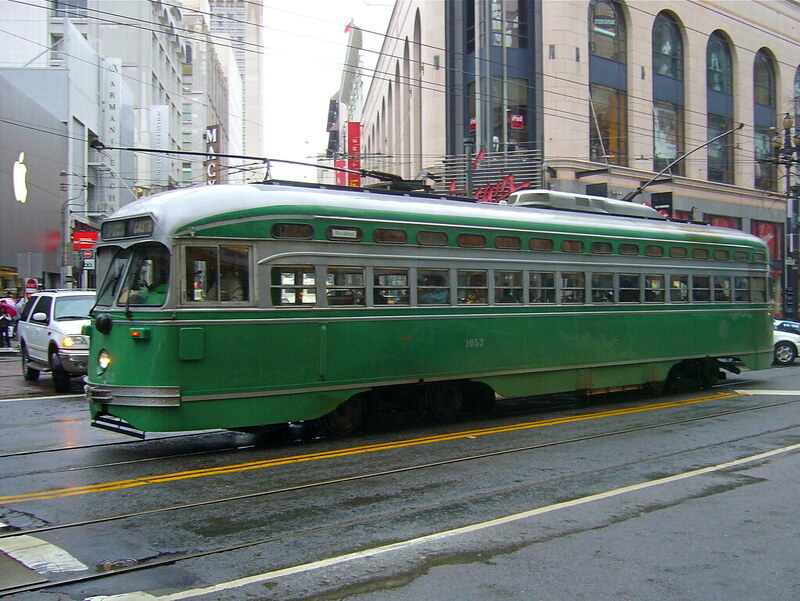 The first challenge was to write a short story out of a beginning phrase, in this case, "The streetcar rumbled along Bourbon Street." Everyone else made that into a complete sentence and then went on from there, while I made it into a longer sentence. The second challenge was to use as many of a selection of ten words as possible in a short story. The words I was given were: Digestive, ruckus, speak, irrigate, squalor, deity, monkey, delivery, citadel, and avenge. I couldn't find a way to use 'digestive' here without forcing it. Most of the other people thought of having difficulty digesting pizza, or they had monkeys in prominent roles. In both cases, we had 15 minutes to write, so that's just enough time to write about a page, page and a half. I'm a bit slow, it seems. I did expand on the upper story to unite it with the second one a little more seamlessly. Only the first two paragraphs were written as part of the challenge, but what I added to link them is pretty much where I wanted to go with it with the foreshadowing of the decrepit nature of the car. If you want to be a good writer, you've got to write. If you want to learn how to shorten your writing, you need to write short stories. So that's what I'm doing, and hopefully I'll be able to make my full-sized books as gripping as these little nuggets. I'll have more for you later, as I've done several of these challenges over the past few months. Let me know how you liked this one, maybe I'll explore it a little further for you.